The idyllic hill station Munnar - famous for its tea estates, exotic lush greenery and craggy peaks, is located in the Western Ghats, in the state of Kerala. It serves as the commercial centre for some of the world’s largest tea estates. In addition, Munnar has many protected areas which are home to endemic and highly endangered species like the Nilgiri Thar and the Neelakurinji. One of the biggest tea-plantation area of South India, Munnar is one of the most beautiful and popular hill-stations of Kerala. Situated on the banks of three rivers- Madupetti, Nallathanni and Periavaru, Munnar is also blessed with natural view-points apart from the tea-plantations. Munnar is divided into Old Munnar, where the tourist information office is, and Munnar, where the bus station and most guest houses are located. The Eravikulam National Park, Salim Ali Bird Sanctuary and tea plantations are its major attractions. The Rose Gardens of Munnar is a unique and eco-friendly home stay experience, that attracts visitors, especially nature enthusiasts, from all over the world. The Rose Garden, spread over 2 acres of land, is an excellent stretch that is brimming with a variety of plants, including spices, crops like cardamom and vanilla, and a variety of other fruit trees. These agricultural plantations exude mesmerising and wonderful aromas, which make your stay at the gardens a rewarding experience. Located in Munnar in Kerala, on the National Highway 49, just two kilometres away from the city centre; the place is set 3,500 feet above the sea level and is a breathtaking sight to behold. The heart-warming blossoms and colourful flowers make the place a mini-heaven on earth. Accommodation is provided here in a farmhouse and is the hallmark of the Rose Garden. The property has four well-decorated rooms that are spacious and comfortable. Each room is equipped with the necessary amenities, and authentic, home-cooked food is served to guests during their stay here. The sheer beauty of this place attracts tourists from all over the world. This one of a kind garden, surrounded by quaint hills and beautiful waterfalls, offers a variety of activities to choose from to ensure that you do not get bored while on your stay here. You can choose from activities such as trekking, cooking classes and plantation visits, which will further help in making your experience sensory and exotic in every manner. Rose Garden is the perfect spot to experience a dash of nostalgic homesickness with the tours of the kitchen garden here, which has many vegetables and fruits growing here. Visit this place for an enjoyable gardening experience, away from the hustle and bustle of the city. Located at an altitude of 600 ft. and at a distance of about 15 kilometres from Munnar, the scenic beauty of Echo Point is quite captivating. This picturesque destination is situated right in the lap of a quaint lake and lush green mountains, which makes it a visual treat for one and all. As the name suggests, this place is well known for its enthralling illustration of the phenomenon of echoing. As you scream, it is fun to hear your voice reverberate around the attraction again and again. The unique beauty of the Echo Point marks the confluence of three mountain ranges, Mudrapuzha, Nallathanni, and Kundala. Situated on the banks of a lake, the calm and serenity of this place are enchanting. As you indulge in a peaceful walk around the gentle slopes of the hills here, you will feel rejuvenated. It is a soul-soothing site to see the misty hills covered with lush green trees that blow violently with the fresh wind. Echo point is also a dream come true for birdwatchers, as many native birds can be spotted here. You can also see few shops on the periphery of the attraction selling local items of the hill station. The adventurous attraction is not only suitable for tranquil nature walks but also has boating in the serene waters of the lake. You will find the rare Neelakurinji flowers or Strobilanthes that blooms and enhances its beauty. Engage in the exciting adventures or just sit back and relax- The Echo Point will never fail to mesmerise you with its sheer beauty and stillness. On your visit to Munnar, Echo Point should be on your to-do list. Tucked away from the hustle and bustle of the main cities, Photo Point is this picturesque site perched atop the low rolling slopes and undulating plains of Nilgiris. In the backdrop of the stretches of tea gardens typical to this region of the country, this point serves as an excellent photographic opportunity; as it is clear from the name itself. Many people choose not to stop in this location because there is not much to see here, but once you get off the car and take a look around, the gorgeous surroundings will take you in like their own. Photo point is the ideal place to experience the charms of the indigenous vegetation of the region. Sprinkled with gently rolling hills, babbling brooks and glistening silver oaks, the beauty of this place lies in its simplicity. The turquoise sky against the emerald tea gardens is a breathtaking sight, and the lake nearby elevates the experience to another level. Apart from its scenic beauty and lush green tea gardens, it is also known for aromatic spices. The route up to the spot is quite spectacular as well and makes the entire journey worth it. Photo Point is a famous sightseeing, a picnic spot and a filming destination, and rightfully so. When in Munnar, make sure that you do not miss this stunning beauty! Mattupetty Dam is a strong gravity dam which was constructed for power generation and water conservation. Located in the Munar hills near the Anamudi peak, the dam is situated 1700 meters high. The green valleys and pleasant ambience surrounding make up for a captivating site. The reflection of the tea gardens into the water is the most beautiful part of the dam. Speed boating too is organized here by the Tourism Promotion Council of the district of Idukki. Other water sports organized include motor boats, paddle boats, and rowboats. The dam was built in the late 1940s as a part of the Pallivasal Hydro-electric project and is now an important source of energy in Munnar in addition to being an important water source for birds and animals. Numerous elephants can be spotted at the dam since it is their favourite spot to drink water. The Mattupetty Dam is a perfect relaxation place for all the nature lovers and adventure enthusiasts. One can sit back and enjoy the peaceful surroundings while boating in the dam. All those who love adventures can go out on a trekking quest in the Shola forests. The mesmerizing climate of the place adds to the enjoyment. Located just 40 kilometres away from Munnar is a scenic locale by the name of Marayoor, which is famous not just for its beautiful views, but also for its unique attractions such as a sandalwood forest and vast sugarcane farms. In fact, this is the only place in Kerala that harbours a natural growth of sandalwood. Wrapped in a wispy blanket of glorious clouds, Marayoor is an altogether different and enchanting landscape of exquisite green beauty. Add to it, the natural blessing of a sea of fragrant sandalwood trees; this place is a sensory experience like no other. Marayoor is located on the eastern side of the Western Ghats and also boasts of two pre-historic sites, solid sugar molasses known as 'sarkara' in Malayalam and the gentle waters of the Paramba River flowing close by. What adds another dimension to the experience of this location is the presence of the old Muniyaras, which are burial chambers that belong to the megalithic age. Simple in their construction, these cists are made of granite slabs stacked against each other. The view of this ancient creation against the backdrop of the valley is a sight to behold, and is a must visit for nature lovers and history buffs alike. This pristine forest is visited by a large number of tourists every day, who come to Marayoor for trekking and well as to capture some picturesque views while they walk around the jungle. The lush green tea plantations and trees further make the environment more pleasing and soothing, thereby making Marayoor the perfect holiday destination. Blossom Park is a splendid park located about three kilometres from the beautiful town of Munnar, in the South-Indian state of Kerala. It is located near the Pallivasal Hydro-electric project, near River Muthirappuzha and amidst the mesmerizing Kanan Devan Hill Tea estates. The park expands over an area of 16 acres and is home to a variety of flowering plants. The beautiful park attracts tourists from all over the world with natural and seasonal flora. One may explore amidst the lush greenery in and around the park, click loads of pictures or indulge in one or more of the recreational and adventure activities like bird-watching, cycling, boating, trekking etc. The park consists of a vast expanse of gardens and lawns with a variety of flora. There are also tree houses, ropeways, mounts and artificial waterfalls that add to the beauty of the location and can kindle yours and your kid's adventure fantasies as you begin a quest to maybe search for a hidden treasure in the beautiful park. Because of the greenery, the park stays cool even during noon time. A flower show is arranged every year at Blossom Park when nature lovers can quench their thirst for a variety of fragrant and colourful flowers. There is something for everyone here at Blossoms Park that will lift your spirits the moment you step inside the park. A visit to this beautifully landscaped getaway is a must for one and all. Located a 45 - minute drive away from Munnar, the Eravikulam National Park houses a rich and diverse variety of flora and fauna and is a UNESCO world heritage site. Also known as Rajamalai Wildlife Sanctuary, this place was managed as a game reserve by the Kanan Devan Hills Produce Company before 1971. The control was taken over by the Karnataka Government in 1971 and it was declared a national park in 1978. Elephant, Nilgiri langur, Nilgiri marten, Atlas moth (largest in the world), lion-tailed macaque, small-clawed otter and a rare tiger or leopard are some of the main animal species that can be spotted here. The Eravikulam National park is famous for housing the endangered mountain goat of South India, the Nilgiri Tahr. It stands out for the ravishing beauty of its rolling grasslands and sholas, spread over 97 sq km in the Kannan devan hills. Anamudi, which is the highest peak south of Himalayas at a height of 2695m, stands majestically in the central area of the national park. The slopes of the hills are home to many kinds of rare plants and trees some of which are epiphytic orchids and beautiful wild balsams. The important fauna here is the Nilgiri Tahr, Nilgiri Langur, leopard, tiger, Indian bison, etc. The next bloom of Neelakurinji Flowers that bloom ever 12 years will be in 2018. Perched atop the undulating peaks of the great range of Sahyadri, a World Heritage Site declared by UNESCO, Munnar is as picturesque and breathtaking as it comes. Often covered with a veil of cold misty cloud, giving the place an ethereal feel, Munnar is one of the most beautiful and captivating destinations of South India. The town itself witnesses the cacophony of everyday urban life. However, if you drive a few kilometres towards the outskirts, it will dissolve into an ocean of serenity complete with greenery and the fresh hilly breeze. Munnar is famous for its many trekking options. Many people visit Munnar to have a go at a walking holiday through the wilderness that it offers. It has something for everyone. The mesmerising hill station offers a plethora of trekking trails for the trekkers to explore through its lush green rolling countryside, high grasslands, rainforests rich in biodiversity and endemics, tea, coffee and spice plantations and stretches of rugged terrains, which make up the entire expanse of the age-old lands of Western Ghats. The whole range is covered with carpets of greenery along its sprawling plains, low slopes covered with some of the world's highest tea plantations and the higher hills with their crests hidden behind a blanket of fog. You can choose among the many existing trek routes, some of them very popular, some not so known. These treks will give you a lifetime of an experience and let you witness first-hand the true beauty and rusticity of nature. There are some which can be done in a day, and some take longer as the routes are interconnected to form a web of trek trail for a more adventurous and exciting experience for the trekkers. The treks vary in difficulty, but they offer equal exuberance nonetheless. There are tourism agencies which arrange for treks in groups at regular intervals. If you are not confident about going for a trek all by yourself, opt for one of those to be safe. Located in the Nallathanni Estate of Tata Tea around 2 km from Munnar, the KDHP Museum showcases a variety of antiquities, the most famous being the burial urn excavated from the vicinity of Periakanal Estate, dating back to 2nd century AD. A 30 minute documentary feature by the museum will take you through a historical sojourn of the place. Visitors then proceed to the factory to understand how tea is processed. Established in 1961, Mattupetti Indo-Swiss Farm is a place where Tamil migrant labourers had once reared their cattle. Today, this highly specialized dairy farm bestowed with cool climate and abundance of fodder is managed by the Kerala Livestock Development and Milk Marketing Board (KLDB). With more than 100 varieties of high-yielding cattle being reared, the dairy farm is one of its kinds. Named after the 'BirdMan of India', Dr Salim Ali, a famous ornithologist, Dr Salim Ali Bird Sanctuary is one of the major attractions in Munnar. Finding itself at the foothills of the Western Ghats, it occupies an area of 25 km sq. Also known as Thattekad Bird Sanctuary, the place is even called as the richest bird habitat of Peninsular India. Bird watching is addictive. Once you encounter this beauty there is no turning back. You would wish to watch more and more. Here you can find Crimson-Throated Barbet, Sunbird, Bee-eater, Night Heron, Black-winged Kite, etc. This place came to light in the year 1983 by recommendations made by famous ornithologist Dr Salim Ali. It shelters 270 avian species. Rufous Babbler, White-bellied blue flycatcher, Wynaad laughingthrush, Malabar grey hornbill, are some species that are found here. While you are here, do savour the joy of bonfire and fishes on the grill under the open sky. The best time to make the most out of this sanctuary is from October to March. During this time you can spot the maximum indigenous and migratory bird species. Located on the Kochi-Madurai Highway (National Highway 49), the Cheeyarappa Falls is an on-the-way tourist attraction. It falls between Munnar and Kochi, in the district of Idukki, Kerala. One of the largest waterfalls in the state (which is also known as God's own country), the Cheyyappara Falls are a sight to behold. Cascading through seven tiers of stones, these falls are a force of nature that you can not only see and experience but dip your toes into and enjoy. The surroundings of the waterfall complement its opulent natural splendour. Evergreen forests stretch out for as much as two acres around the falls, making it an active adventure and trekking spot. Several species of exotic plants and animals can be found in the neighbouring area, enclosed in the casket of a dense forest. At the height of 1000 feet above sea level, the Cheyyappara Falls are a part of a chain of waterfalls that descend from the Deriyar River that originates in the Western Ghats. It forms the base camp for several treks or walking trails that start off in this area. The cascade has an inherent natural magnificence unlike other waterfalls in the state, which is why it is now being classified as an eco-tourism destination. On the opposite side, a valley stretches out into a vast expanse, swallowing the fast-flowing water into its body. Occasionally, this view gets covered up by hanging clouds, so it all depends on your luck. Kalari Kshethra is the centre of the oldest form of martial arts, Kalarippayattu and the traditional form of Indian Classical Dance, Kathakali. Kalarippayattu is often called the mother of martial arts, the source from which the modern hand combat techniques like Kung-Fu and Karate have been evolved over the years. The centre conducts performances, workshops and classes that one can opt for to get an essence of the ancient art forms. Named so because it looks like a locked heart, Lock Heart Gap is a viewpoint in Munnar famous for a breathtaking view of the surrounding valleys, mountains, the tea plantations and its thrilling trekking trails through the densely covered, cloudy, misty terrain. The view from the top during sunsets are a must-see. CSI Christ Church is over a century old church famous for its religious & historic significance and its gothic style architecture. The church was built in the memory of the beloved wife of Henry Knight, Ilianor Knight, in the early 1900s. The site also served as a cemetery for the British Planters. The structure is made of granite and is adorned with beautiful stained glass work and brass plaques. Pallivasal Falls is a stunning natural water body in the midst of dense forestation. It is famous as a picnic and sightseeing attraction in Munnar and draws nature lovers for soul-satisfying nature walks. The waterfall cascades down a rocky slope and doesn?t quite have a height but the force it gushes with is sure to captivate one and all. Credited to be the second highest peak in the Western Ghats, Meesapulimala stands elevated at an altitude of 8660 feet above sea level. The densely covered terrain has eight peaks that together resemble a moustache and is, therefore, called Meesapulimala. The attraction is famous for trekking, nature walks and an enchanting view of the valleys amidst the clouds. Located in the Eravikulam National Park at an altitude of 7200 feet, Chokramudi Peak is one of the highest peaks in Munnar. It is quite isolated from the range but provides a fabulous view of the surrounding valleys & mountains covered with stunning dense forestation and the lush green tea plantations. One can also get a beautiful view of the Idukki Dam located nearby. Wonder Valley Adventure and Amusement Park is an eco-friendly park located in the midst of nature. The park retains the natural landscape of the region to take its guests closer to nature and offers a thrilling experience through its adventure trails and activities. It is a perfect attraction for adventure freaks and for those who want to face and get rid of their fears. There's no age bar and the activities are designed for children, as well as for adults. Anamudi is a mountain located in the Indian state of Kerala. It is the highest peak in the Kerala and South India, at an elevation of 2,695 metres (8,842 ft)and a topographic prominence of 2,479 metres (8,133 ft).It lies on the border of Devikulam Taluk, Idukki district and Kothamangalam Taluk, Ernakulam district.The name Anamudi literally translates to "elephant's forehead," a reference to the resemblance of the mountain to an elephant's head. The first recorded ascent of Anamudi was by General Douglas Hamilton of the Madras Army on May 4, 1862, but it is likely that there had been earlier ascents by local people. Anamudi peak is one of only three ultra prominent peaks in South India. It is also the peak with the greatest topographic isolation within India.It is the highest point in India south of Himalayas. Thus it is known as "Everest of South India". The Sun Moon Valley in Mattupetty, cradled in the arms of the hills of Munnar near Anamudi peak is literally a buffet for ones senses. The place offers a vast variety of experiences for travelers. Blankets of velvet green tea plantations shroud the hillsides. Add to this the gurgling brooks, rushing rivulets; tumbling cascades, lush Shola forests, rippling grasslands, and the subtle mist and you have the perfect combination for a holiday in heaven. But that’s not all. The main attraction of the valley is none of these. It is the dam of Mattupetty that attracts hordes of visitors to this hill station year after year. A concrete gravity dam, it was constructed for water conservation and power generation under the Pallivasal Hydro-electric project in the late 1940s. Today, this dam is not just a vital source of electricity in Munnar but is also a haven for birds and animals. The still waters of the lake which reflects the surrounding greenery offers you options for water sport activities like boating and speed boating organised by the district Tourism Promotion Council of Idukki (Munnar). Trekking in the Shola forests is another option for those passionate about adventure. ‘Cattle Village’ is a name Mattupetty earned from the famous Indo Swiss farm project or Livestock project launched in the year 1963 as part of the bilateral agreement between the governments of India and Switzerland. The farm with over hundreds of varieties of high yielding cattle is around three kilometers away from the Mattupetty Dam. It is a dedicated cattle development and research centre set up by the Government of Switzerland. At present the project is handled by the Kerala Livestock Development and Milk Marketing Board. Very easily accessible from Munnar town, the ideal time to visit Sun Moon Valley is from the month of August to May. This temple located on a small hill was worshipped by the Muthuvan tribal community in the past. Later it was closed for a long time. But seeing the pathetic condition, the temple was renovated by the members of Travancore royal family when they came to visit Munnar during the summer season. Earlier Nambudiris held the tantric rights of the temple. At present the rights are held by local Tamil Brahmins. The temple is now administered by a committee of local Hindus. Jeep safari tours in Munnar are the best ones to plan in order to explore this beautiful gem to the core. Located in Southern India amongst the Western Ghats, Munnar is a small town filled with tough terrain, scenic beauty and some very famous tea museums and estates. Being a town situated amongst the mountains, the temperature here is always soothing just what a perfect hill station needs. Munnar is famous not only for its tea but also for the various sanctuaries and the diverse wildlife that one can find here. The best way to explore this town would be a bumpy ride on a Jeep. Jeeps safaris are a must when you are in Munnar. Riding through the lush green forests with the wind blowing through your hair and fresh oxygen everywhere, one can find peace and calm in the forests of Munnar that are lost in the hustle bustle of daily life. Now there many routes for the Jeep safari as even though Munnar is a small town every inch of it is equally beautiful. The most famous safari route is the Kolukumala Jeep Safari. Situated about 2100 meters above the sea level, this place has some of the most majestic and breathtaking sights. The panoramic views and the gigantic mountains make one experience the most memorable trip of their life. One can go through the tea trail and explore the tea estates present here to know more about the orthodox methods of preparing tea. Then comes the Kannan Devan Hills that have a special aura that connects to one's soul and makes them feel calm. One can also go trekking to the mountaintops of Chokramudi. Taking a Jeep safari in Munnar at night is, even more, fun and adventurous. The starlit sky and the moonlight give the whole place a scary yet pleasant feel. One can visit the Chinnar Wildlife Sanctuary to witness the wild and be astounded. Perfect for a family holiday, one can do lots of things here like sightseeing, boating, rock climbing, trekking, safaris and so on. Power House Waterfalls is a popular tourist attraction in the hill resort of Munnar of Kerala. It is located on the way to Periyar wildlife Sanctuary of Thekkady from Munnar. This is a scenic spot at a distance of 18 km from Munnar town. The location of Power House Waterfalls is surrounded by lush green hill ranges of Western Ghats. Power House Waterfalls is a cascade that runs down from a height of about 2000 m from steep rocks. The natives of Munnar believe that the water of Power House Waterfalls has strong healing property. It is believed that the cool water of this waterfalls originate from Sita Devi Lake of Devikulam. As per folklore, Sita Devi, of the epic Ramayana, took a bath in this lake which imparted healing property to the lake. Nyayamkadu Waterfalls of Munnar is a famous tourist spot frequented all through the year. It is located about 10 km from Munnar town on the way to Rajamalai. Nyayamkadu is a scenic location with beautiful waterfalls surrounded by verdant vegetation. The water cascade at Nyayamkadu runs down from a hill with a height of 1600 m and fall to a pool. The waterfalls are at its best after the monsoon months of June, July and September. Tourists visiting Nyayamkadu also take a nature walk up to Nyayamakad Gap to have a panoramic view of Munnar valley covered with dense tea plantations. Nyayamkadu is also the base camp for the trek to the dense forests of Munnar. Nature lovers visiting Nyayamkadu often stroll around the place and explore the wilderness and the beauty of Munnar. Located within the Chinnar Wildlife Sanctuary, Thoovanam Falls is an excellent place to enjoy the beauty of nature. This waterfall originates from the river Pambar and flows through the sanctuary attracting a lot of nature lovers and trekking enthusiasts. The trekking trail to Thoovanam Falls begins at the Alampatty forest station from where tickets for the trek have to be purchased. Being a protected sanctuary, trekking without an entry ticket and guide is not permitted. It takes about an hour to reach the base of the water falls. The trek to the waterfalls is a wonderful experience for people who enjoy wild life as one gets to see wild animals like langurs, elephants, giant malabar squirrel and a variety of rare flora. For the not so adventurous, the view of the falls from the sanctuary is in itself breathtaking. Thoovanam Falls can be visited at any time of the year, but the sight of the falls right after monsoon is a treat. Situated at a distance of about 18 km from Marayoor, Thoovanam Falls is easily reachable. One can also visit the largest natural sandalwood forests and the ancient burial sites known as Muniyara Dolmens, both at Marayoor, while visiting the falls. Kalvari Mount is a popular destination in the whole of Idukki district as it provides a view of Reservoir from Idukki to Ayyappancovil on one side and Kamakshy and Mariyapuram villages on the other side.At a distance of 5 km from Idukki lies the Kalvari Mount, a popular destination of tourists visiting the hill retreat of Munnar. Basically a steep slope, Kalvari Mount provides a view of Reservoir from Idukki to Ayyappancovil on one side and Kamakshy as well as Mariyapuram villages on the other side. It’s always good to know before visiting Kalvari Mount whether it is open or closed on a particular day, and what the opening timings of kalvari mount are and whether it is open in the morning, afternoon, evening or night. The most important thing to know is that kalvari mount is closed on . On the other hand, it remains open for visits on the following open days of the week – and the entrance timings and opening hours on these days are from . Apart from the closing days mentioned above, most places are closed on national holidays and important local holidays, so it is best to check with locals or at the point of interest to confirm whether it is open on such days. Also the timings in winter and timings in summer for kalvari mount may differ, so it is best to keep visiting this page again to find out the most latest and accurate kalvari mount visit opening hours. It is a part of mostly all idukki, munnar tour packages and is a great place to visit in idukki, munnar to witness the evolution of kalvari mount over the decade Also referred to as Calvary Mount, which is a beautiful mountain located in close proximity with Thekkady. You will be rewarded with stunning views of the neighboring areas as you make your way to the top. Some nearby attractions include Idukki Hydroelectric Project, Malankara Dam, tea gardens and Nadukani. With so much to experience here, make sure you don’t miss visiting this place when you are in Idukki. Elephant’s Abode Boating Anayirangal Munnar is one of the main attraction in Munnar and the waterfalls here, popularly known as Power House Waterfalls, cascade down a steep rock 2000 m above sea level. The spot is enriched with the scenic view of the Western Ghat ranges. When you have traveled about seven kilometers from Chinnakanal, you reach Anayirangal. Anayirangal, 22 km from Munnar, is a lush green carpet of tea plants. A trip on the splendid reservoir is an unforgettable experience. The Anayirangal dam is surrounded by tea plantations and evergreen forests.The spot is enriched with the scenic view of the Western Ghat ranges. When you have traveled about seven kilometers from Chinnakanal, you reach Anayirangal. Anayirangal, 22 km from Munnar, is a lush green carpet of tea plants. “Anayirankal” is a combination of two Malayalam words. “Aana” stands for “elephant” and “irankal” means “coming down”. The word “Anayirankal dam” means, the dam where the elephants come down (to drink water). The rare sight of elephant herds coming down to the lake from the nearby forests to quench their thirst is a treat to the eyes. Thommankuthu Falls is a beautiful waterfall located at a distance of 17 km from Thodupuzha. The waterfall gets its name from Thommachen Kuruvinakunnel who discovered this waterfall in the 1920s. A beautiful seven-step waterfall amidst verdant foliage, this is a perfect place to spend time in the lap of nature. The waterfall plunges down in seven steps with a cascade and pool at each level. The difference between the first and the last waterfall is around 500 m. A walk through the forest near the falls will allow the visitor to savor the wild beauty of forest and stream. If you are looking for an adventurous vacation, this waterfall offers all the adventure you can handle. This is the best place to try adventure sports like river crossing and trekking. Trekking enthusiasts keep flocking here to try their hands at the various trekking trails, the most popular one being the trek to Thoppimudi view point. One can also visit Plapothu Caves which is situated near the falls. A small trek of 500 m will take to another water fall, Ezhunilakuthu waterfall. The Nilgiri Tahr (Nilgiritragus Hylocrius) is an endangered mountain goat species. Their numbers have dwindled over the years due to poaching and a lack of natural habitats for them. Kerala is proud to be home to this beautiful animal species in the 400 km stretch of the Western Ghats between the state and Tamil Nadu. Eravikulam National Park in Munnar is a prime example of a separate safe haven being created to preserve these gentle beings. Visitors can view them at specific times during the year as well. This park boasts of the highest density and the largest surviving population of the Nilgiri Tahr. They graze most actively during the early morning and the late afternoon. The male of the species is larger and darker than the female and is famous for their silvery saddle-like patch on the back. Mating takes place during the Monsoon and calving during the first 2 months of the year. Their life expectancy is up to 3.5 years but have the potential to be as high as 9 years. Eravikulam hosts about 300 of the species and it is from here that the fight for their survival is being spearheaded. Muniyara Dolmens are megalithic burial chambers situated in Marayoor, 40 km from Munnar. Belonging to the early Neolithic Age, most of these aboveground burial chambers are built with large stone slabs, called megaliths, laid on its edge vertically and covered with other smaller stones on the top. Strewn over the hilly terrain of Marayoor, some of these dolmens have more than one burial chamber indicating that the site was used for the burial of a family. The dolmens vary in length, the larger ones used for the burial of people belonging to high social status. In some cases, only burial urns were found, representing the burial of the remains of commoners. A few of the burial chambers belong to the Iron Age too; here the stone slabs have been smoothened using tools. A fascinating place for anthropologists and archaeologists, these burial chambers will also catch the attention of the lay man. Easily accessible by road, Marayoor is also known for its natural sandalwood forests which are worth a visit. The Muniyara Dolmens are yet to be declared as protected monuments; a lot of the stones are missing or are not in a good state of preservation. The Sita Devi Lake, is a spot of unsurpassable scenic beauty. The sparkling crystal clear waters, the tall trees and flowering shrubs on the banks make it an ideal picnic spot. 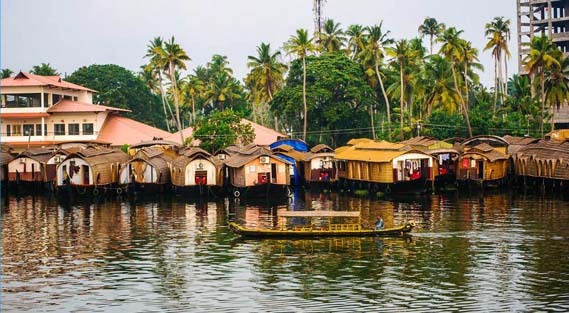 According to legend, the goddess Sita Devi of the Ramayana epic bathed in the beautiful Devikulam lake waters surrounded by lush, green hills, now named Sita Devi Lake. The lake draws tourists not only because of its sacredness but also for the curative powers of its mineral waters. Chithirapuram, a quaint town situated nearby Munnar, is a must-visit among tourists visiting Munnar. Chithirapuram is famous for its Pallivasal Hydel Power Project and picturesque locale. Located about 10 km from Munnar, Chithirapuram has an old world charm to it, owing to its old-bungalows and cottages. Chithirapuram is also famous for the dense and picturesque tea and spice plantations. Tourists visiting Chithirapuram also pay a visit to other picnic spots like Muthuapetty Reservoir, Eravikulam National Park, Elephant Dam & Lake, Mattupetty Dam, Marayoor forests, Thoovanam waterfalls and Echo Point. An excellent spot for the thrill seekers, Fun Forest Adventure Park, is a hidden gem brimming with exciting activities. From the free walk, low-lying rope activities, tyre walk, spider net and more, the number of adventure pursuits that you can partake are endless. High-rope activities such as Burma Bridge, rock-climbing, valley crossing and rappelling are designed for the brave hearts at this location. This fun-filled attraction near Munnar is situated at a height of 1097 metres above sea level and offers amazing views of the valley. You can indulge in Jeep Safari and Buggy Ride at this place too. Oozing with natural beauty, the captivating hills and waterfalls around this area make for a great scenic view. There are ample locations here that would pose as an excellent backdrop for beautiful snapshots. Munnar is blessed with a Murugan Temple. The festival of this temple falls in Karthika month in the local calendar. Murugan, the deity of this temple, is believed to have powers to cure all diseases. During the fesival of this temple the whole of Munnar are in a festive mood. Most of the workers in the tea plantations and factories take part in this festival. Even people from other regions come over here during the Karthika month. The festival of this temple is connected with 'Karthika Deepam'. Deepavali, Pongal and Aadi are celebrated here. Deepavali is the festival of 'Deepams or Lights'. It is related to the assassination of Dwarakasuran. It is believed to be the victory of the Goodness over the Evil. The whole of Munnar is decorated with colourful lights and the town appears, from a distance, like a starry sky.